Turn up the heat with the Columbia Boy's Youth Puffect™ Jacket. If just being warm isn't enough, turn up the heat. 170g of insulation will keep him toasty on the inside, while the water resistant outer shell will keep Mother Nature at bay. Features fleece-lined pockets and a protective droptail hem. 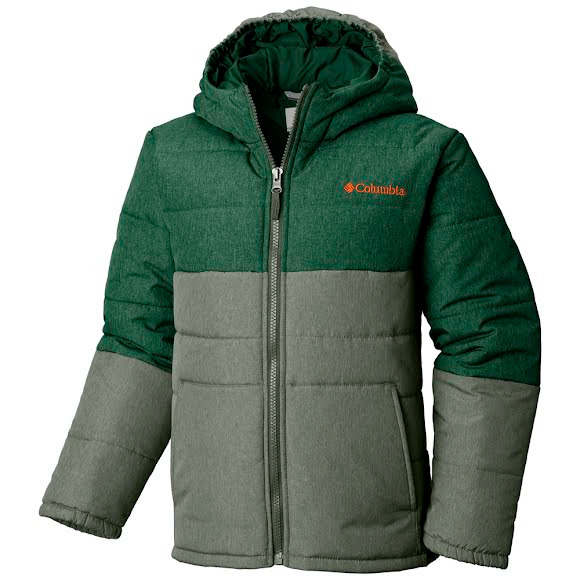 Turn up the heat with the Columbia Boy&apos;s Youth Puffect™ Jacket. If just being warm isn&apos;t enough, turn up the heat. 170g of insulation will keep him toasty on the inside, while the water resistant outer shell will keep Mother Nature at bay. Features fleece-lined pockets and a protective droptail hem.